Who are Dogs For Good, and what do they do? Our chosen charity for 2018 is Dogs for Good - an inspirational charity who work on exploring ways that dogs can help children with varying disabilities overcome challenges and enrich their lives. Destiny of a Child has chosen to partner with the charity Dogs for Good, who make life changing differences for children with autism through trained dogs. A Dog for Good autism assistance dog, will give the parents and the child real independence and provide a safer environment. An expertly-trained Autism Assistance Dog can give both parents and children real independence, often for the first time in their lives, as well as providing inarguable empathetic companionship for the child. Dogs for Good train their puppies to 'work' in a specially designed harness that connects the dog to both parent and child, and the dogs are trained to automatically sit, should the child try to bolt away from their parent if they become stressed or anxious or indeed pull if the child doesn’t want to walk on. We've also found that Assistance Dogs provide a comforting constant presence for children in new and unfamiliar situations, but more than that, a fully-trained Autism Assistance Dog can also be used to help shape routine behaviours at home, reduce anxiety and interrupt problematic, repetitive behaviours. Mum Teresa explains how her Dogs For Good Autism Assistance dog Quartz helps both her daughter Beth and the whole family. 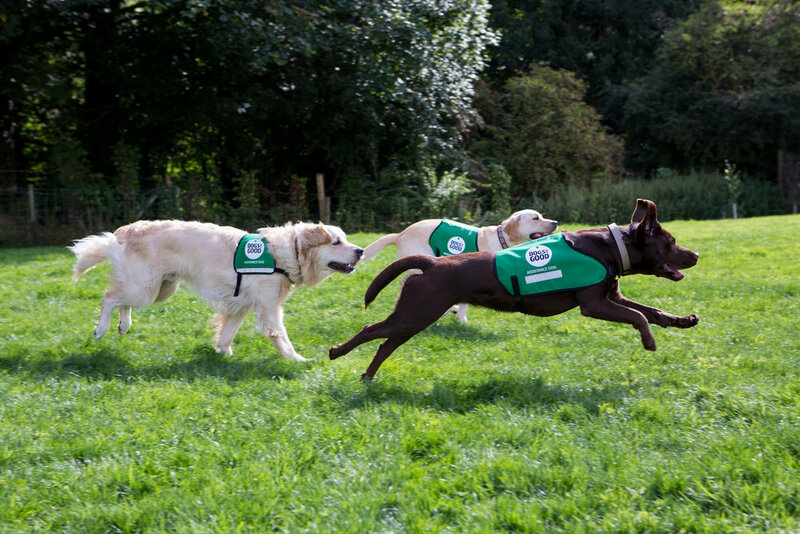 Dogs for Good train mainly Labradors and Golden Retrievers and each dog starts life by spending their first year with one of a trusted network of puppy socialisers before starting formal training at around 18 months' old at the Training Centre in Banbury. £5 could pay for one of our dogs’ special identification tags. 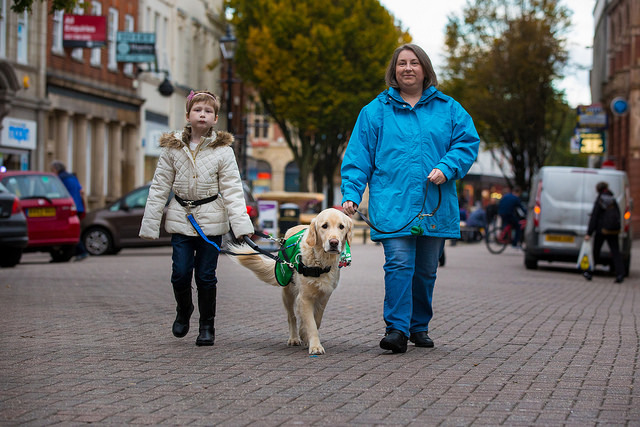 £10 could buy a special jacket for an assistance dog to wear, so that they are recognised as a working dog when they go to public places such as shops and restaurants. £25 could help feed a puppy for a month, providing them with a balanced diet to ensure they are getting all the nutrition they need to grow and develop into healthy young dogs. £50 could pay for a dog’s annual veterinary check up and essential vaccinations against diseases. £75 could pay for a puppy pack for a young pup to take to their new home. This includes a puppy crate and bed, toys to play with, a collar and lead and food bowls. "Autism is a lifelong, developmental disability that affects how a person communicates with and relates to other people, and how they experience the world around them." - The National Autistic Society. * All facts, figures and research courtesy of The National Autisic Society, Reid, B. (2011). Great Expectations. London: The National Autistic Society, and The NHS Information Centre, Community and Mental Health Team, Brugha, T. et al (2012). Estimating the prevalence of autism spectrum conditions in adults: extending the 2007 Adult Psychiatric Morbidity Survey. Leeds: NHS Information Centre for Health and Social Care. You can find more information about Autism and the impact it has on people's lives at The National Autistic Society website. Registered Charity: 1096499. Registered in England and Wales.